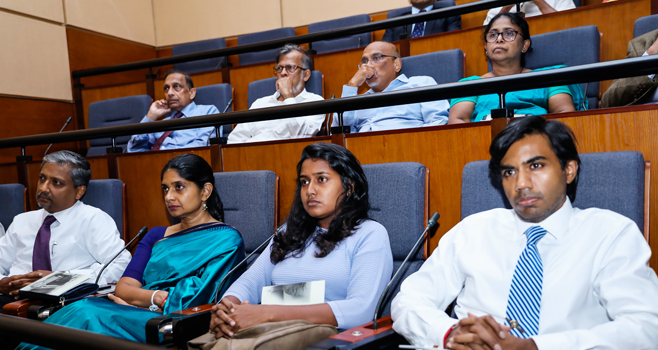 Delivering the inaugural Saman Kelegama Memorial Lecture, Governor of the Central Bank of Sri Lanka (CBSL), Dr. Indrajit Coomaraswamy noted that Dr. Kelegama was an embodiment of many qualities, both professional and human; despite his many accolades and achievements, he was always modest, kind, unassuming, and humane, the Governor further highlighted. 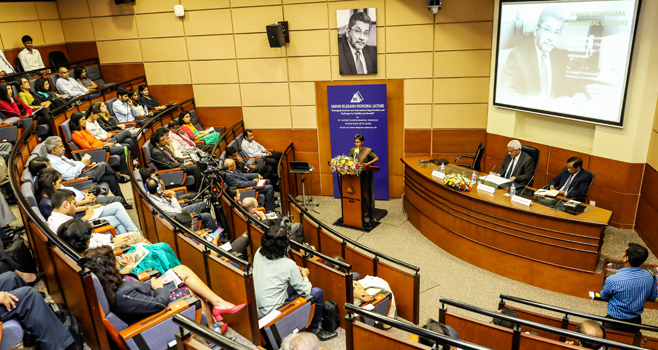 The lecture was held on the theme ‘Managing Domestic and International Opportunities and Challenges for Stability and Growth’ on 25 June 2018, at the Dr. Saman Kelegama Auditorium of the IPS. 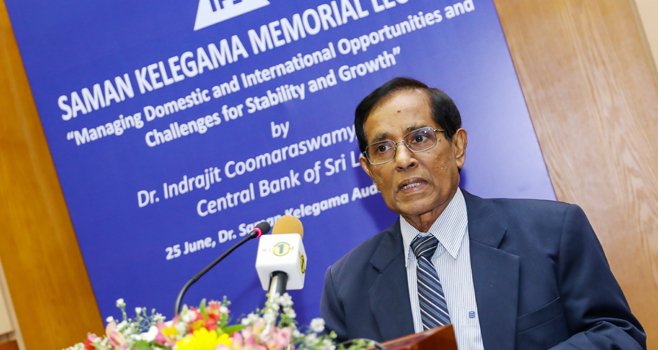 Reminiscing on Dr. Kelegama’s role as a leading trade policy economist and the Chairman-designate of the Agency for International Trade of the Ministry of Development Strategies and International Trade, Dr. Coomaraswamy noted that “trade policy is the jewel in the crown.” He pointed out that if Sri Lanka can successfully enter into Free Trade Agreements (FTAs) with large markets such as India and China, the country can leverage the trade investment nexus, which is an opportunity Sri Lanka cannot afford to miss. 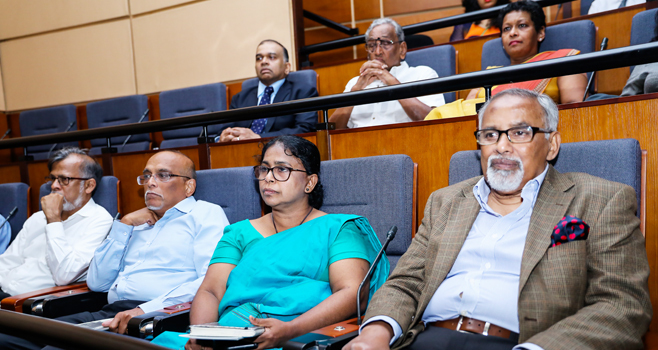 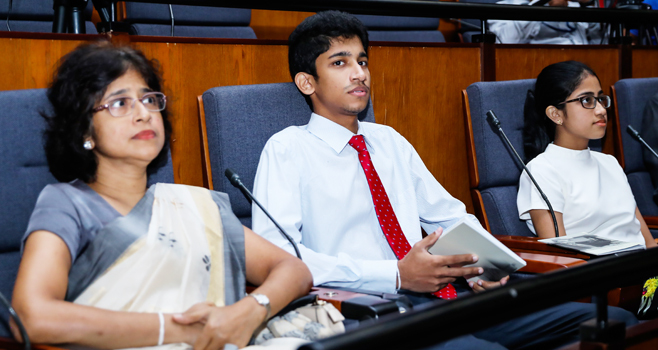 The Governor of the CBSL further noted that trade and investment is especially vital to drive growth, as Sri Lanka is facing the challenge of an ageing population at an early stage of its development trajectory. 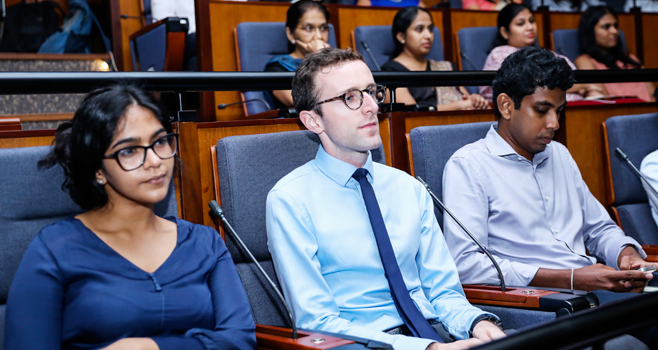 Being a low middle income country poses its own set of trials, as the country now has limited access to concessionary loans. 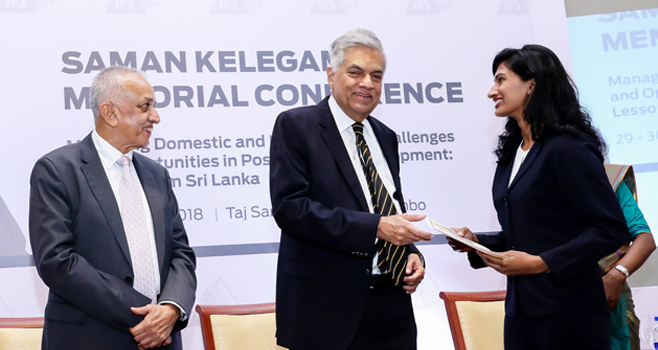 Therefore, Sri Lanka has no choice but to adopt a private sector-driven growth model, with exports and Foreign Direct Investments (FDIs) as the key pillars, he warned. 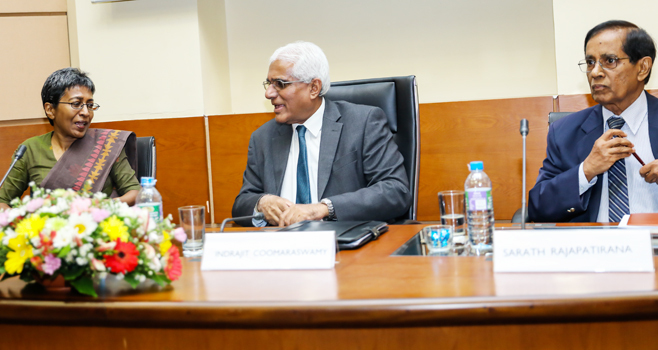 On a positive note, the geopolitical location of Sri Lanka offers many advantages and the country has the opportunity to rediscover its roots as a hub in the Indian Ocean, but it should maintain clarity regarding economic priorities and strategic interests, Dr. Coomaraswamy pointed out. 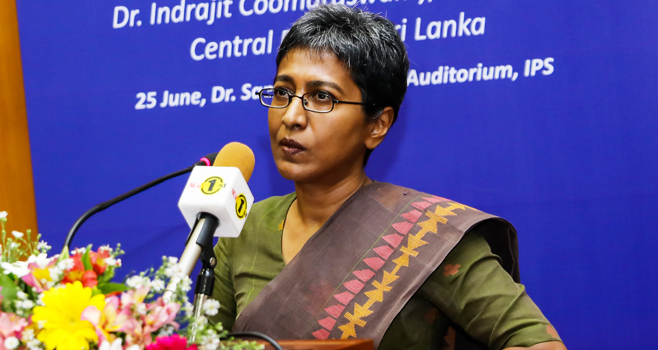 IPS Executive Director, Dr. Dushni Weerakoon, meanwhile noted that Dr. Kelegama’s reach went beyond South Asia as he was a torch bearer for South Asian policy issues at large.